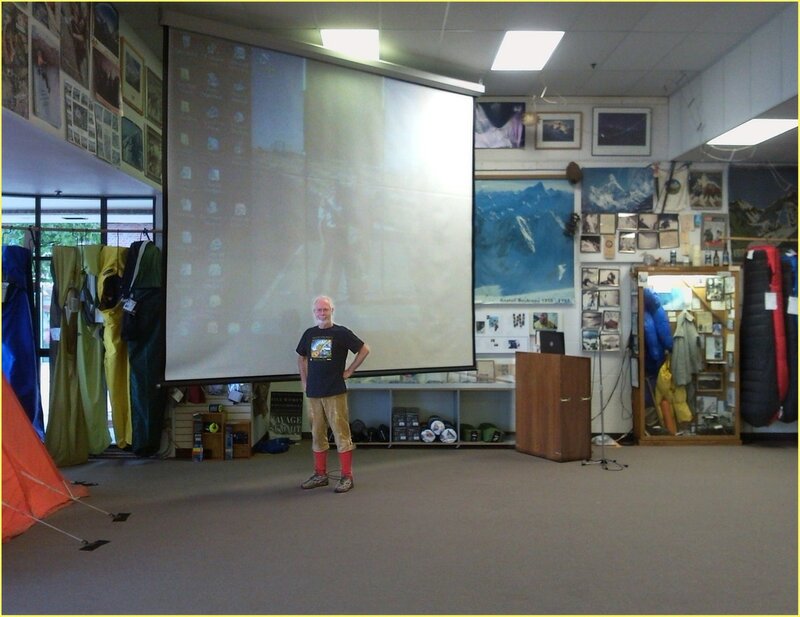 The History of Gear Project, with Bruce Johnson M.A. Why do I write books about the history/evolution of outdoor gear? 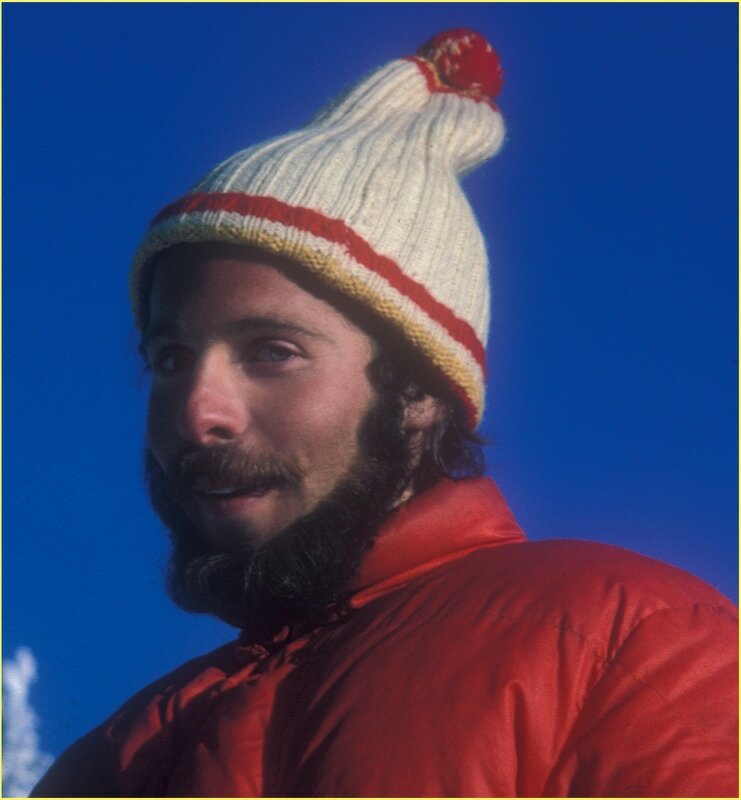 I've been an active hiker, climber and backpacker my whole life, and I'm no longer nearly as young as in this picture! Now white-haired but with nimble typing fingers, I write books about the great gear that enabled me and so many others to achieve great things in the wilderness. ​Who made the first truly modern, lightweight down sleeping bag? This kind of question has led me onto many fascinating historical byways since 1995. In addition to a huge website, I now have written six books about where all that high-tech modern outdoor gear originally came from, the companies, the founders, the fabrics and fittings. Visit my main website to see how to order my books in either written or PDF form. Below is the cover of my second book. 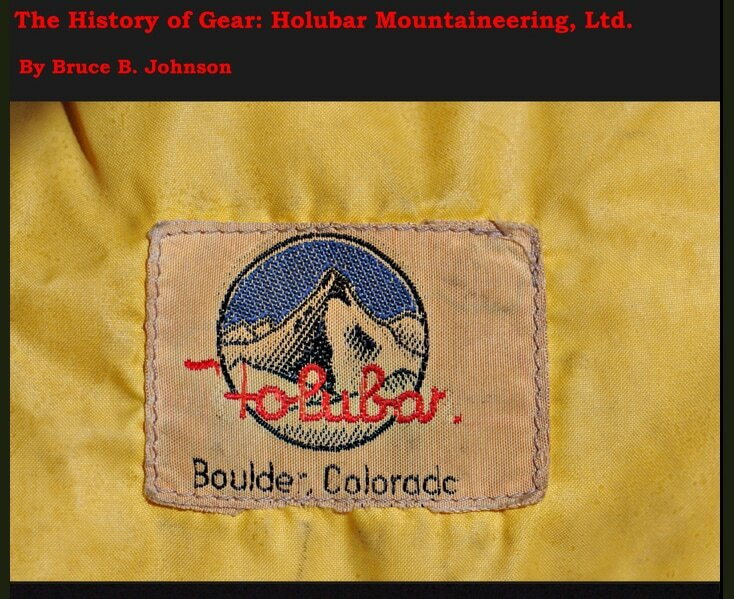 HOLUBAR MOUNTAINEERING LTD, founded in 1947 in Boulder, Colorado by Roy and Alice Holubar. They supplied many early expeditions to the World's great peaks and to this day used Holubar down gear brings high prices on eBay. My first book was about Frostline Kits of Colorado. Founded in 1966 by Dale Johnson, Frostline swiftly grew into a large and highly successful company by the late 70s. Eventually it became known as an iconic company within the history of outdoor gear. To this very day, inquiries hoping that Frostline is still in business are one of the most frequent questions to my site.